After three seasons at his boyhood club FC Barcelona, Cesc Fabregas, the supremely gifted Spanish midfield maesto, is back in London, but not with his former club Arsenal, with the mighty Chelsea FC. Fabregas was handpicked by Blues boss Jose Mourinho to fill the void left by club legend Frank Lampard, and he has all the tools needed to rise to the challenge. His knowledge of the game is supreme and he possesses the technical skill and endeavor to match. 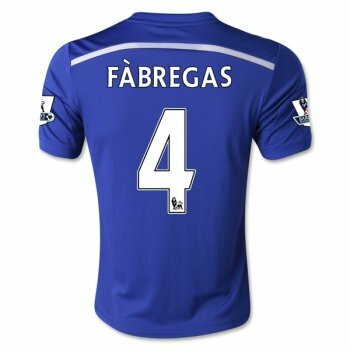 Fabregas was one of the finest midfielders in England when representing the Gunners from 2003 to 2011, and he seems destined to replicate that fine form, and perhaps go up a few more gears, in a Blues shirt.